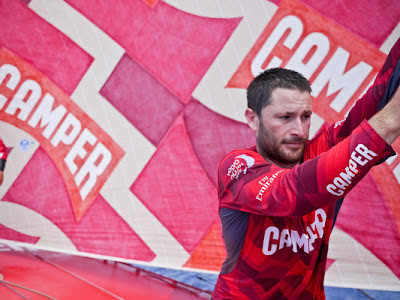 While Chris Nicholson took CAMPER past Telefónica (Iker Martínez/ESP) and into the lead early this Christmas Eve morning, the hopes of Groupama 4 (Franck Cammas/FRA) and PUMA’s Mar Mostro (Ken Read/USA) were dashed again in the minefield that is the Doldrums. 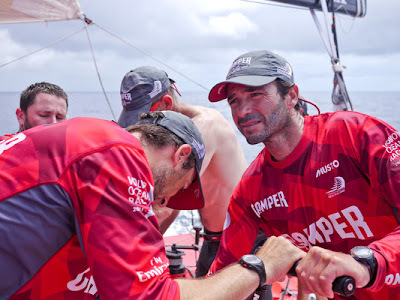 “Last night was a night that started with so much promise,” said Read, whose team are now in fourth place and languish over 133 nautical miles (nm) behind the new leaders. 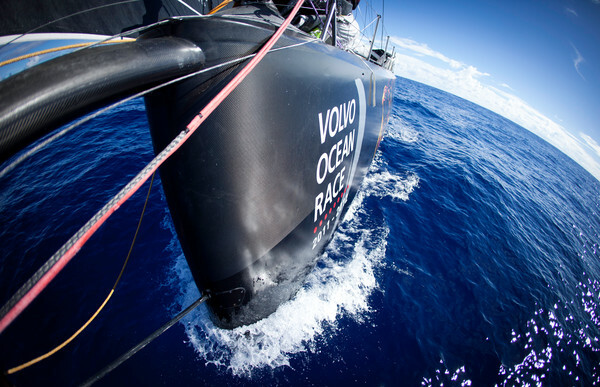 “We worked ourselves back into it yesterday afternoon and up until midnight. In the frustrating way this little adventure has gone so far, we get ourselves within six miles of Groupama 4 and then the next thing we know, we’re parked and they’re 35 miles ahead again,” Read said in a radio call to race headquarters in Alicante. He is trying to be positive, telling himself that ‘what goes around, comes around’, but all it takes is one cloud to dash the hopes of 11 men. 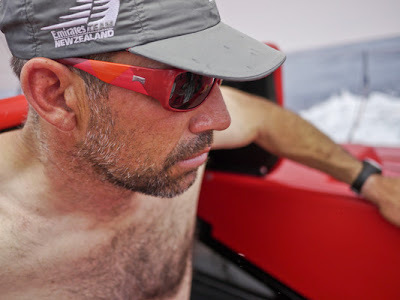 Jules Salter, navigator of fifth-placed Abu Dhabi Ocean Racing’s Azzam (Ian Walker/GBR), says, “You can never see what you have missed in the Doldrums until it is too late". 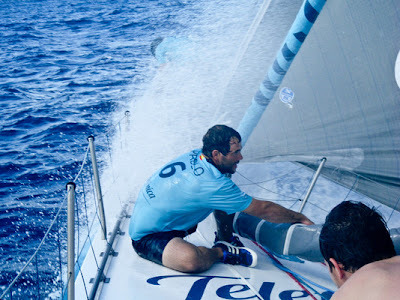 New leader CAMPER and second-placed Telefónica, 21 nm behind, are relishing the new westerly breeze and are making good speeds of 12-14 knots with much better angles to the wind, while 161 nm back, Ian Walker and his men are struggling to keep Azzam moving. 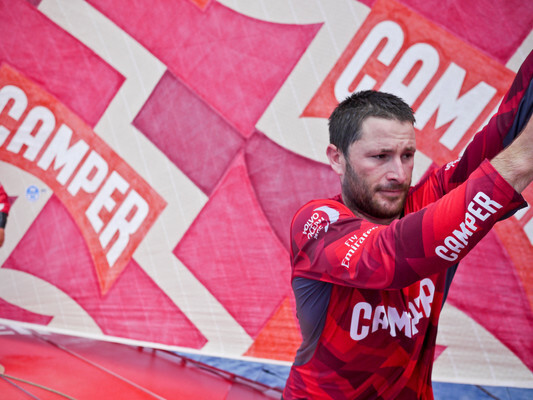 Although the crew of CAMPER are happy to be in the lead, they are also philosophical. “Good days don’t matter too much unless it is the last part of the last day of a leg. 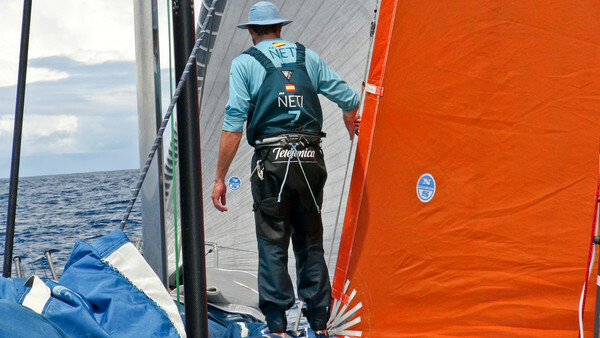 So, just like the bad days, you take it for what it is, forget about it and keep sailing as you as you were – as fast as you possibly can,” says MCM Hamish Hooper.